Biotix deep well plates are made of non-treated medical-grade virgin polypropylene. These plates are functional in a temperature range from –80 to 121°C with excellent chemical resistance. 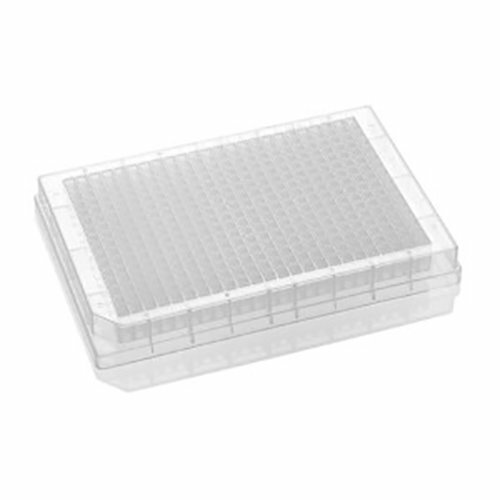 The plates conform to SBS standards to be used with automated workstations and can withstand up to 6,000 RCF in a microplate rotor. Alphanumeric grid to help with sample identification. Notched corner as a reference point for plate orientation. Stackable for easy storage in freezers or incubators. Biotix deep well plates are certified free of RNase, DNase, human DNA, Pyrogens and PCR Inhibitors. © 2019 Biotix, Inc. All rights reserved. Biotix, Fluid Innovation, xTIP, uTIP, and aTIP Pipette Tips, The Better Tip, Delta Filter, X-Resin, Chem-Resin, Blade, FlexFit, Statix, Leave Nothing Behind, BioReady, Tip Eject, and XTreme Quality are registered trademarks or trademarks of Biotix, Inc. All other brands and names contained herein are the property of their respective owners.